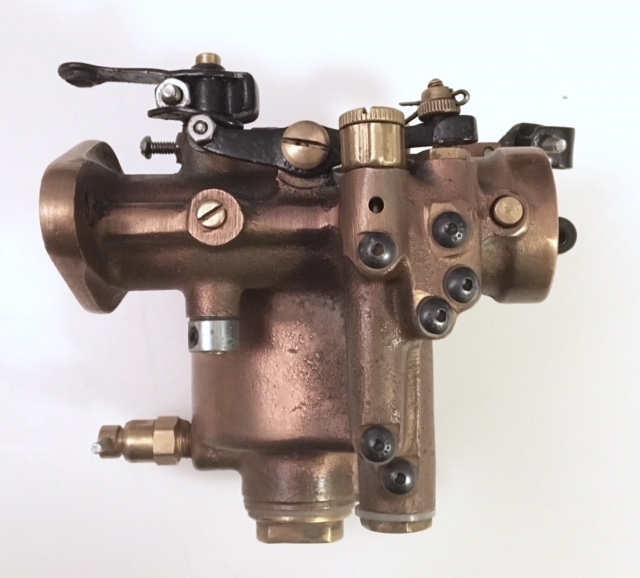 I bought an OF carburetor at Hershey last year that had been restored at some time by Stan Howe. When I contacted Stan about him restoring a U&J I also purchased at Hershey I told him about the OF. When he saw the picture of the OF he said it was an older restoration of his and that he would upgrade the screws free of charge. How nice. Here are the before and after shots. That’s a “top shelf “ guy we would say where I come from, and he sure is doing some top shelf work. Stan is a class act all the way. He has done work for me in the past at a very reasonable price and in a timely manner. Top quality work. From your pictures I see that Stan not only "upgraded the screws" to a more correct version he also disassembled and freshened up the blast job. Judging by my past first hand experience with Stan's work he probably went through the whole thing doing another full restoration free.... Just because that's what he does if his name is on the job!!!... Yep, you can see he removed the plastic washer seals and replaced them with the period correct fiber washers. Pretty amazing when you figure you bought the carb at a swap meet and never paid Stan for the original restoration. I hope you sent a gratuity to Stan for his effort! I wish we had more like Stan... In all of life's endeavors! I actually paid a lot for that carb at Hershey. Yes, I do want to send him something for the trouble even if I didn’t ask for it. I do have a question if anyone out there runs one of these. This is my first and I’m anxious to try it. The throttle shaft has a plate on the top that I assume pushes down on the end of a lever (with a roller) that operates a pump when accelerating. But there is no real contact to actually do this. Is there a bigger roller that might go on the end of that lever? I don't have any answers but good heavens! What a change! To be honest, I wish I had a period piece to request Stan's services. Mark, Here's a link to the manual for the OF Carburetor I posted here on the Forum a while back. Yes, Stan's The Man!! That's for sure. We'll certainly miss him whenever he's gone someday. Just remember the idle screw is sort of backwards. Screw "in" is richer and unscrew "out" is lean. that passage controls the air not the fuel. Once the carb is set you never have to adjust it again like most T carbs! Thanks, I would have never seen this if I hadn't got a call about it. The little arm runs an economizer, which is actually an air bleed to the main jet to lean the mixture at low speeds and power requirements. It supposedly also leans the mix at full open throttle conditions but I dunno how much difference it actually makes at wide open speeds. This is a pure example of a small venturi not making a carb that won't run. Flow is not everything. Function of the various circuits makes a lot of difference. This is somewhere around rebuild number 75 or 100 based on the style of needle and seat conversion I made for it. My newest style is much simpler and works better. Done about 1,000 OF's now but I quit keeping track. Need more bench time not more bookeeping time. Here is a short video clip of what I’m describing. The plate on the throttle doesn’t seem to make effective contact with the roller on that arm. For those of you actually using OFs in your stock engine .. should this be adjusted to get more purchase on that lever? Or does it make any difference? I bought this as a working carburetor for a hefty chunk of change. Wondering if I have a shiny door stop. My questions are no reflection on Stan’s work. 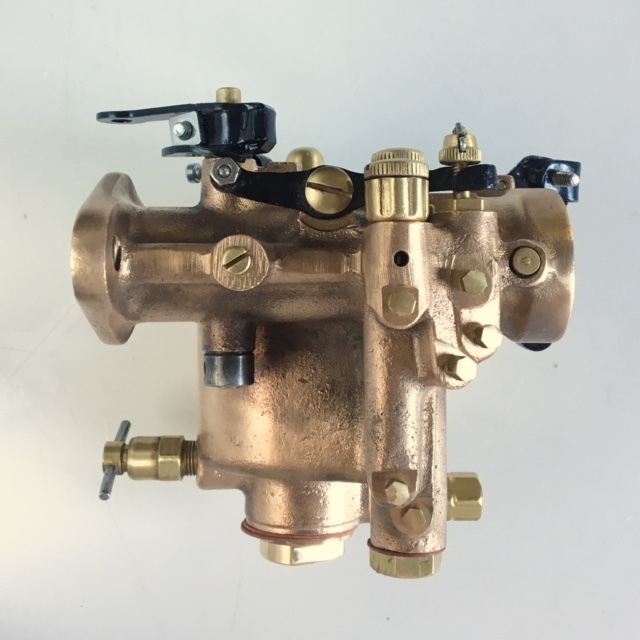 I’m just looking for guidance on the use of this carburetor. Have never had one before.